Prime Minister Modi’s ‘Make in India’ campaign has added a new dimension to defence production by making India the preferred designation for co-design development and production in India. The recent Obama-Modi talks reflected this new strategy where the foreign Original Equipment Manufacturers (OEMs) work in tandem with India’s defence industry partners. Aerospace being a predominant player to bolster military industry capability should take advantage of the new policy thrust. HAL must eschew its blinked approach and treat the private sector as collaborators rather than competitors. 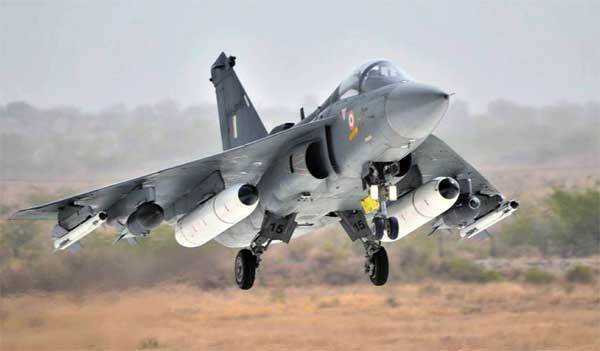 India’s military industrial complex accounts for nearly $8 billion in terms of Value of Production (VOP) with wide ranging products from aircrafts, missiles, frigates, radars, earthmovers and super alloys. The aerospace sector contributes nearly 50 per cent of VOP of the defence PSUs with a value addition of around 30 per cent. However most of the output of Hindustan Aeronautics Limited (HAL) is based on licensed production. It is of late engaged in the co-design and development of a Fifth Generation Fighter Aircraft (FGFA) and a Multi-Role Transport Aircraft (MTA) with Russia. A big supplier of cheap lifesaving drugs to developing nations, India admirably balances public health needs with private profits and innovation. But it is under pressure to change this model. The South African health minister Aaron Motsoaledi, in an exclusive interview to Scroll, said that he was extremely "scared and worried" about the possibility of pro-industry changes in India’s intellectual property rights regime. India’s dispute with Western pharmaceutical companies can be traced back to the 1970s, when the country introduced its process patent regime. Under the regime, Indian companies could reverse engineer existing drugs and sell them at home under generic names. It gave rise to a robust domestic pharmaceutical industry, with an annual turnover of Rs 128,044 crores in 2013-'14, which ensured that most medicines continued to be available at affordable prices. By nailing Pakistan for engineering the recent terrorist attack on Kabul airport, Afghan President Ashraf Ghani has signaled that the much touted Afghanistan-Pakistan honeymoon that never was, is practically over. A day earlier, media headlines had reported that multiple terrorist strikes in Kabul had caused a bloodbath killing 51, and that year 2014 was among the deadliest in Afghanistan’s history wherein 10,000 civilians alone had died on account of terrorist violence. Contrary to the relentless media glare on Jammu and Kashmir, the Pakistan-occupied Kashmir (PoK) is somewhat akin to the Bermuda Triangle for Southeast Asia, shrouded in everlasting mystery. It is not often one gets to see any news about the place, about its people, about its terror-training schools, about the hectic infrastructure projects undertaken by China, or the elections conducted byPakistan to lend a veneer of legitimacy to its occupation. India for its part, keeps on showing PoK as part of its territory in all the international and national pieces of cartography, never showing any real stridency about defining its role as to what it wants to do about it. Despite India’s tentative overtures to the need of embracing central Asia, PoK remains outside its overarching loop of diplomacy. 'The ISI has given a stunning display of its capacity to do with impunity what it likes within Kabul. Incensed over the triumphalism of the hardliners in Kabul, the ISI has hit out; it is a typical ISI reflex action that Indians are familiar with,' says Ambassador M K Bhadrakumar. 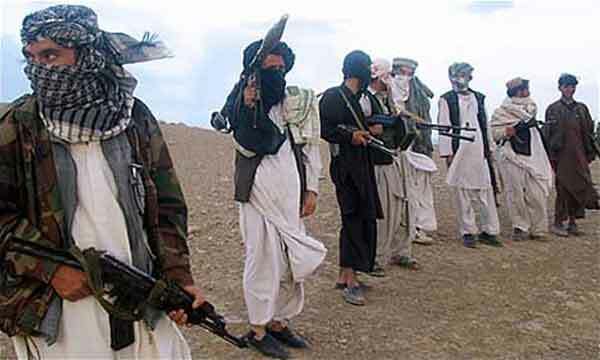 Vested interests unhappy with the incipient peace talks between the Afghan government and the Taliban decided to muddy the waters. Over the last three decades, Amitav Ghosh has established himself as a writer of uncommon talent who combines literary flair with a rare seriousness of purpose. His first novel, The Circle of Reason, seemed very much in the Rushdie magical-realist tradition, but he has evolved considerably since then, notably in works like The Shadow Lines and more recently The Glass Palace, which deal movingly and powerfully with the dislocations of post-imperial politics in Bengal and Burma. His evolution is complete, it would seem, with his eighth novel, Flood of Fire, which thrillingly concludes his ‘Ibis trilogy’ seven years after the first volume of the trio, Sea of Poppies, appeared. The three novels, taken together, add up to a whopping 1,654 pages and almost a million words; every one of them makes for delightful reading. Some of these issues stem from “mainland” policies that, when combined with local economics, create disincentives. A prime example is the interaction between minimum wage and welfare benefits. According to Krueger, Teja and Wolfe, the combination of a high minimum wage and a swelled welfare benefit produces a significant discouragement to finding work. Further, 28 percent of hourly workers in Puerto Rico earn less than $8.50 (in the United States, it is about 2 percent) and would take home approximately $1,159 per month compared to a welfare benefit of over $1,700. China and Japan: A Resource Showdown in the East China Sea? Deferred deterrence is a lot like deferred maintenance—when we finally get around to doing what needs to be done, the cost is almost always higher than it would have been with timelier action. That is happening now with U.S.-China relations, which under the best of circumstances require constant vigilance. The first issue is China's stunningly lawless claim of sovereignty over virtually the entire South China Sea. When the claim was limited to the rhetorical and diplomatic realm, Washington responded in an appropriately measured manner. It noted the invalidity of Chinese overreach under international law, the need for multilateral negotiations and peaceful mechanisms for dispute resolution, and the inviolability of rights of navigation and overflight. But when Beijing ignored those diplomatic and legalistic appeals and proceeded to implement its territorial ambitions over a year ago by building artificial islands—creating not only facts on the ground but actual new ground—it became necessary to push back by peacefully but firmly exercising navigational and overflight rights. To outsiders, China is the only Asian tiger that has military capability to start and sustain a long-drawn-out war, considering its numerous armies and state-of-the-art weaponry. But in reality that military permutation is absolutely incorrect: Japan as well as India are formidable Asian military powerhouses that can hold their own when it comes to regional military showmanship. As a matter of fact, Japan has to its name an inglorious militarization past when it occupied many countries in the Asia sub-region, including China itself and countries like Singapore, Philippines, South Korea and so on. Indian military might has withstood Chinese armies on several occasions. A typical India-China onslaught that readily comes to mind is the “Border War” of 1962 when Indian soldiers defended a strip of land in the Himalayas, which China also laid claim to. It wasn’t surprising when China strongly protested against India's invitation to Japan to be part of Malaba military exercises previously scheduled to take place in October. Even though India and the United States had, in the past, invited Japan to the same military drills, this time around India has had no apparent option but to buckle under Chinese pressure. This explains why Malaba exercises previously scheduled for October have been canceled by India. Cairo: The Next Front in the War Against ISIS? As the dust settles in the wake of several sophisticated attacks in the Cairo area, the Egyptian government is moving quickly to sweep up terrorists, launching investigations and arrest raids to get to the bottom of the most recent attack in the capital, a car bomb at dawn on July 11 at the Italian Consulate. However, these actions may be too little, too late, jeopardizing the air of stability President Abdel Fattah al-Sisi has fought so hard to project. Although news articles have hyped up the poor security situation in Cairo for months, insecurity in the capital has fluctuated over the last half-year. In fact, the car bomb, as well as the June 29 assassination of the Egyptian prosecutor general, punctuated a period of relative quiet in Cairo. Extremist groups operating in the capital aren’t really disappearing—they’re reorganizing and adapting to a security establishment struggling to secure Cairo while continuing to battle jihadists in the Sinai front. It was recently my privilege to conduct an interview as a subject matter expert with the Strategic Multi-Layer Assessment (SMA). SMA is led by Hriar “Doc” Cabayan, Ph.D., and is accepted and synchronized by the Joint Staff J-39 has partnered with the United States Advisory Commission on Public Diplomacy, a body authorized by Congress and based at the State Department, to conduct a series of interviews with experts to explore what the Middle East will look like in 5-15 years. The focus of this interview was ISIS and the current crisis is Syria and Iraq. While the actual interview will be made available by SMA in their official channels, I am providing the answers I prepared in advance for the interview here. The interview was conducted by Ms. Sarah Canna, a principle analyst at NSI. The positions, insights and thoughts that I am about to share are my own, and in no way reflect the positions of USSOCOM, the US Department of Defense, or the US Department of State. Canna: In an email you sent Doc (Dr. Hriar Cabayan), you mentioned that the Iraq/Syria conflict is a “populace-based conflict” at heart. Could you explain why that is so, and how that should impact USG strategies and plans? CNAS CEO Michèle Flournoy and President Richard Fontaine have authored a new policy brief arguing that “current efforts to counter ISIS are not adequate to the task” and that American efforts thus far “convey a sense of creeping incrementalism. The authors make 11 recommendations for actions the United States and its partners should take to make their efforts to counter and ultimately destroy the Islamic State more effective. The conflict in Syria, complex even by the standard of civil wars, has not presented U.S. policymakers with anything close to a clear opportunity to weigh in on the side of good guys against bad ones. There have been too many bad guys on multiple sides of this war. The understanding that the United States reached last month with Turkey, according to which the latter evidently agreed to focus more on countering the so-called Islamic State or ISIS as distinct from its other objectives in Syria, would appear to have simplified a bit the lines of contention in the war from the U.S. point of view. But only a bit, if that. Turkish military operations in the area since announcement of the agreement with the United States have focused at least as much on Kurdish militias as on ISIS. A prominent feature of the U.S.-Turkish accord is the declared intention of both governments to exclude ISIS from a zone along the border area of northern Syria. Given continued uncertainties about Turkish priorities, major questions persist about just what this zone entails. The Al-Qaeda-affiliated Nusra Front hasexpressed its own uncertainties about this. An even bigger question is: if this zone is not to be a depopulated no-man's land, then who will control it and administer it? The ludicrously few vetted “moderates” trained with U.S. help are in no position to do so, and reportedly part of the understanding with the Turks was that Kurdish militias were not going to be allowed to move into any vacuum in the area in question. Turkey’s cabinet last week announced that the United States and coalition members targeting the Islamic State (ISIS) would be permitted to fly combat missions from Incirlik air base in south Turkey. This U.S.-Turkish facility is well positioned near the Syrian front, and offers the coalition greater tactical flexibility. It could certainly help in the effort, as President Barack Obama describes it, “to degrade and ultimately destroy” ISIS. But working with Turkey, particularly at Incirlik, comes at a price. The story of Incirlik begins with the Cold War, when the United States sought a base close to Soviet territory to stage and recover bombers if war erupted between the two superpowers. Turkey’s unique geographic location allowed U.S. forces excellent access to Soviet territory from the south, as well as coverage of the Eastern Mediterranean, Southern and Eastern Europe, and the Middle East. In 1951, the United States began building an airfield outside the southern city of Adana. In exchange for establishing a U.S. base in its territory, Turkey was granted NATO membership and a bilateral mutual security agreement with the United States in 1952. Turkey and the United States signed a Status of Forces Agreement (SOFA) in 1954, paving the way for the Turkish Air Force and the United States to ink an agreement to share the base. Starting in 1957, the United States began using the base for U-2 reconnaissance flights over the Soviet Union and deployments of fighter squadrons. A prophet's grave is often a myth. Abraham, the Ur-prophet of all three monotheistic faiths, is said to be interred in the Cave of the Patriarchs in Hebron, in the West Bank, along with his sons Isaac and Jacob, and the wives of all three. The Hebrew Bible says that Moses died and was buried on Mount Nebo, in Jordan, forbidden by God to enter the Promised Land. Jesus, according to the New Testament, was interred in Jerusalem, in a cave near the site of the crucifixion. But there is no physical evidence for any of these burials, only the stories in the Holy Books. The case of Islam's Prophet Mohammed (570-632 AD) is different. There are detailed histories of his life, and Mohammed's tomb in Medina (along with those of his family and early companions) has stood continuously since his death. 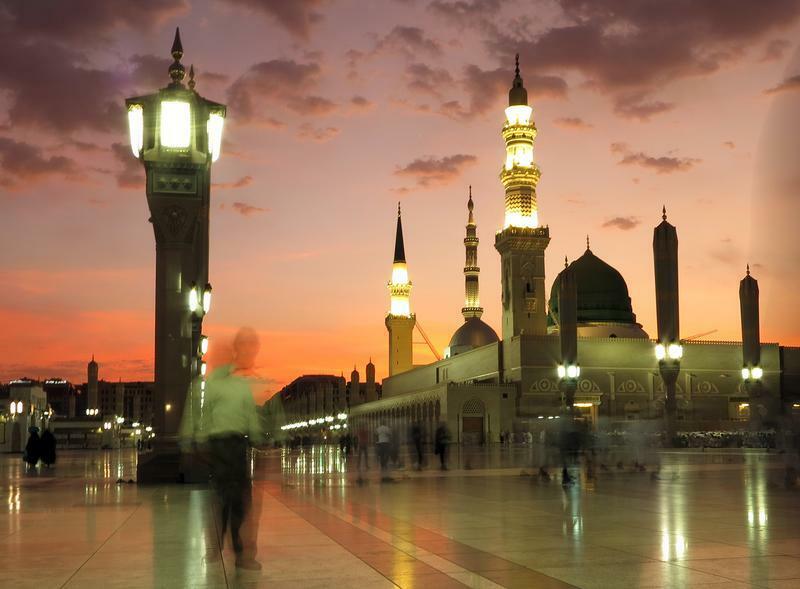 The monumental al-Masjid al-Nabawi mosque was constructed around the tomb, which sits on the site of Mohammed's home. Muslims around the world revere the place, and each year hundreds of thousands visit it as a side trip on the hajjpilgrimage to the black granite Ka'aba building in Mecca. The two cities, Mecca and Medina, are in Saudi Arabia. Thus the Saudis are custodians of Islam's two holiest sites, and Saudi Arabia is the geographical center of Islam. Bob Rae is former premier of Ontario and a former member of Parliament. If Canadians turn our attention at all from the bliss that is a short but intense summer, we look to the nasty, brutish and long election campaign that yawns before us. Meanwhile, the world reckons with the possibility that the alliance between the U.S. Republicans and the government of Israel might well undo the multi-government deal limiting Iran’s nuclear ambitions. When Prime Minister Benjamin Netanyahu spoke to the American Congress a few months ago, he warned that “a bad deal” would mean the threat both to Israel and the world would be enhanced and not restrained. He is making that case in even stronger terms today. Relations between the U.S. government and Israel are the worst they have been since U.S. president Dwight Eisenhower and Israel prime minister David Ben-Gurion went toe-to-toe over the Suez Crisis in 1956. Let’s first understand the case against the deal: Iran’s regime is repressive towards its own citizens; it funds and foments violent extremists in the Middle East and more widely; it is intensely anti-Israel and indeed anti-Semitic; its nuclear ambitions are not merely “destabilizing” but a genuine and existential threat to Israel and its other “enemies” in the region – if Iran gets the bomb, others will quickly follow suit – Turkey, Egypt, Saudi Arabia at the top of the list; Iran’s government can’t be trusted. Washington's policy of recruiting, training, deploying, maintaining and supporting armed rebel groups to operate inside Syria in sympathy with Western aims of attacking ISIS while steering clear of Assad regime forces was always ambitious. Without coalition troops accompanying them, there is little to no oversight of what these forces do on the ground, including who they fight against and with. Yet the risk to Western personnel is too great to justify such a step. The other main difficulty is in getting enough fighters to pass the vetting requirements, which essentially requires potential combatants to eschew targeting the Syrian army in favour of fighting only ISIS. It appears the advance guard of this US-backed New Syrian Force has not fared well, with claims that one of the leaders of the group was captured and several killed already. There are confusing reports about exactly who attacked whom, who was captured, and from what faction. One US source denied any links between Washington and the fighters involved, but this report indicates that Jabhat al-Nusra (al Qaida's Syrian affiliate) attacked and captured some US-trained fighters. It's one of the most secretive and isolated nations on Earth. Two - or it could be three - spectators are said to have died at a football World Cup qualifier last month, when more than 10,000 people watched Turkmenistan play against Iran. Reports from Turkmenistan suggest these were not fans keen to brave any weather to see the home team play. Instead many were driven to the match by authorities at the "hottest time of the day", four hours before kick-off. It's thought a man and a woman both died during the heatwave. Another man was reportedly taken to hospital. Two Russian warships are making a port call to Iran, according to local media outlets. The Russian Navy has sent two Russian warships—the Volgodonsk and Makhachkala—to the Anzali port in northern Iran, numerous Iranian media outlets are reporting. “The maritime relations between Russia and Iran will be expanded and we will go ahead with our official and unofficial visits to Iran,” Capt Kirill Taranenko, the head of the Russian fleet, said upon arrival. He added that the two sides planned to hold joint naval drills while there. The ships arrived in Anzali on Friday and planned to stay for three days. Some 130 Russian sailors were part of the flotilla. Ukraine's system of agricultural production is paternalistic, dating back to the Soviet era, when bureaucrats constantly intruded into the production process. Such a strategy may have suited the planned economy, but in Ukraine's market economy it has only spawned widespread corruption, because authorities cannot inspect every farm and business in person. EU standards allow producers more leeway in this regard, but this implies more responsibilities. So even though inspections continue, the regulatory agencies' job is to check quality and standards—not meddle with the production process. Taras Kachka, former acting President of the American Chamber of Commerce in Ukraine, expressed optimism over the prospects for Ukrainian agriculture after the implementation of the Deep and Comprehensive Free Trade Area (DCFTA) between Ukraine and the European Union in a 2014 TV interview—noting that despite tremendous differences in production standards, Ukrainian legislation is catching up to the EU. Kachka says Ukraine already exports a wide range of agricultural products—except exotic fruits—to many countries. DCFTA would help Ukraine by boosting competitiveness nationally and abroad; the adoption of EU standards will also help, due to gradual globalization of production standards. Russia has been saber-rattling so hard that cracks are forming in the blade and the hilt seems to be falling off. The military has been embarrassed by a number of of high profile failures and missteps in the past few years. To be clear, the Russians aren’t helpless and certain units are deadly. They have a large nuclear arsenal, some of the world’s quietest submarines, and an impressive new tank. But here are six reasons Russian military planners can’t be sleeping easy. 1. Their planes keep falling out of the air. An Su-24M tactical bomber and a Tu-95 strategic bomber crashed in separate incidents in July, two MiG-29 fighters crashed in June as did an Su-34 strike fighter. In total, these crashes cost the lives of four Russian service members and resulted in the groundings of the Tu-95 and MiG-29 fleets. Anti-satellite missile tests, like this one conducted by the U.S. Navy in February 2008, are part of a worrisome march toward military conflict in outer space. The emptiness of outer space might be the last place you’d expect militaries to vie over contested territory, except that outer space isn’t so empty anymore. About 1,300 active satellites wreathe the globe in a crowded nest of orbits, providing worldwide communications, GPS navigation, weather forecasting and planetary surveillance. For militaries that rely on some of those satellites for modern warfare, space has become the ultimate high ground, with the U.S. as the undisputed king of the hill. Now, as China and Russia aggressively seek to challenge U.S. superiority in space with ambitious military space programs of their own, the power struggle risks sparking a conflict that could cripple the entire planet’s space-based infrastructure. And though it might begin in space, such a conflict could easily ignite full-blown war on Earth. Today's business environment is fraught with risk. Economic, technology and market conditions affect organizations on a daily basis. The constantly changing "risk landscape" is a discussion point in headlines, industry forums, media outlets and board rooms - the disappearing perimeter to defend, the hackers, thieves and spies, the crushing onslaught of regulatory changes. While these challenges obviously pose risks to organizations, in reality, each change represents an opportunity - an opportunity for growth, an opportunity for innovation, an opportunity to take the organization to the next level. Risk Intelligence gives companies the confidence to harness risk to explore new opportunities. Paying the Price for Gaps Between Defenders' Intent and Action: Despite advances by the security industry, criminals continue to break through security defenses. And attackers now realize that bigger and bolder attacks are not always better. New threat intelligence and trend analyses reveal how attackers take advantage of the gaps between the defenders' intent and action. Such lapses leave attackers free to conceal malicious activity, evade detection, and accomplish their mission. How users and IT teams are unwitting enablers of attacks. Hackers to Military: Replace Us With Robots? Ha!